We are happy to announce you the availability of the new version 1.8.2 of the Sen2-Agri system. This version 1.8.2 includes two important evolutions with respect to the sen2agri-services application and the L2A processor. The new version adds these functionalities, which will avoid missing downloads of S2 or L8 images. 2) The L2A processor, in charge of the atmospheric correction and based on MACCS, is making use of Ground Image Processing Parameters (GIPP) which was not totally aligned with those used by the CNES production centre. It resulted in an over-correction of S2 reflectance values in some spectral bands. The new version provides an updated version of these GIPP. The processing over the sites you previously created is not completed? Still, you can already update your system for the sen2-agri services, in order to benefit from the udpate and recover the S2 / L8 data missed by the previous version. You will update the GIPP file later on, when the processing will be completed. In order to recover the S2 / L8 missing downloads, you will have to update a system database called downloader_history, which is linking each product to a series of properties. 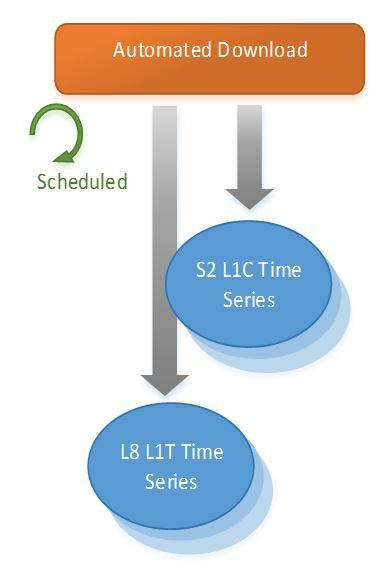 As explained here, each S2/L8 product is related to a status_id informing about the status of its processing (from the download to the L2A generation). The missing products are flagged with a status_id = ‘4’, i.e. ‘download aborted’.